Whether you are learning Italian or taking a holiday to Italy and just want to learn some important words and phrases, you will be probably surprised to learn that you already know a lot! There are in fact lots of Italian words and phrases used in the English language. Some of the ‘English’ words that have Italian origins have an entirely different meaning in Italian, so make sure you read on to avoid any blunders when you are practicing your Italian speaking skills! Italian is part of the language family known as the ‘romance languages’ (doesn’t that sound… romantic?) along with others such as Spanish, French, and Romanian. These languages have many similarities, from their grammar structures, use of word genders and of course their vocabulary. If you already know a little (or a lot!) French or Spanish, then why not give Italian a try? As we just mentioned, Italian is a romance language. This means that its origin lies with the romance language family. Although there is much debate among linguists today that the origin of each language can be traced back to one particular ‘tree,’ this method does make the similarities between certain languages make sense. The origin of the Italian language lies with the Italic branch of the romance language tree. This branch also includes dialects from around Italy such as Tuscan, Corsican, Neapolitan, and Sicilian. Going even further back, the Italic branch came from the Vulgar Latin language of between the sixth and ninth centuries. Of course, like any language, Italian is influenced by pre-Roman languages that came before it, as well as later ones such as Germanic and Slavic. The romance languages today can be put into broader categories. The Italo-Western category is the largest group and includes Italian, French, Spanish and Portuguese. This is why we notice so many similarities between these languages! 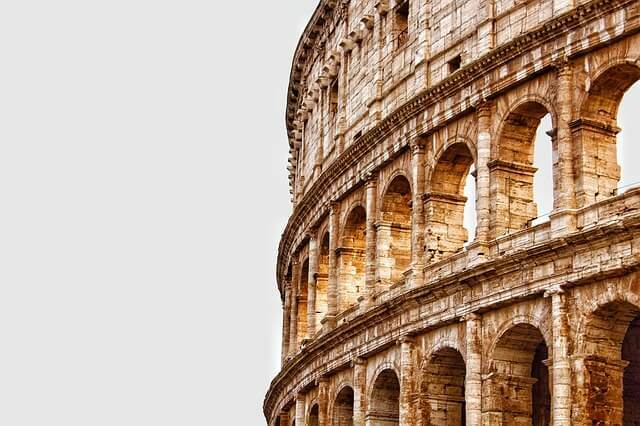 Although the romance languages like Italian are considered some of the easiest to learn for English speakers, you may be surprised to learn that English is derived from the Germanic language family! English is a Western-Germanic language that began to filter into Britain in the fifth century along with invaders from Germany, the Netherlands, and Denmark. The English language has changed a lot over thousands of years, with the early modern English language of Shakespeare paving the way for the English language that is spoken today. Throughout its development, English has been influenced by Celtic languages, Ancient Greek and Latin. The vast range of influences in the English language is probably the reason for our surprise to hear that it is a Germanic language — after all English and German grammar are extremely different! Where are Italian words used in the English language? We learn in school that in subjects like medicine, chemistry, biology and drama, and literature, that Latin words are frequently used because they are universally understood across the globe. In areas of mathematics and science such as geometry, algebra, and physics, Ancient Greek symbols and terms are often used. The fact that these words and phrases stand the test of time and are recognized in English is a wonderful indicator of how languages merge into each other. We have a lot to thank academia for! Regarding the Italian words and phrases that are used in the English language, they crop up everywhere, and the likelihood is that you use them in your every day vocabulary without even realizing it! The most common areas that Italian words are used in the English language are in food and cooking, fashion, music, drama and literature — although they do appear outside of these areas as well, which you will learn in the list below! We asked a native Italian speaker to share some commonly used words in English words that are Italian and their meanings…. 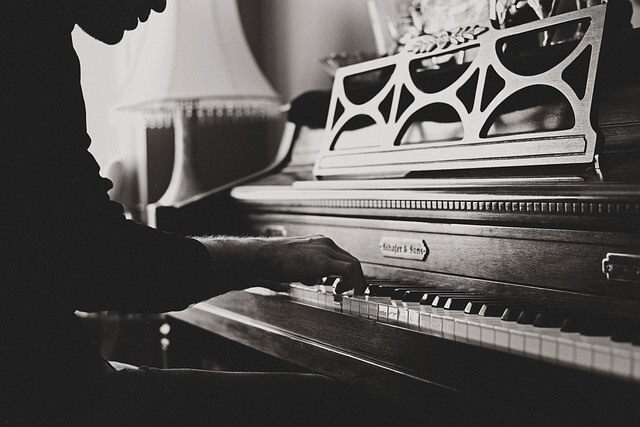 The most common come from music, food, and fashion. Words like ballerina, soprano, alto and allegro are commonly used also in the English-speaking countries when talking about music and theatre. On the other hand, words like pizza, pasta, mozzarella, and lasagne don’t actually need explanation, nowadays! Do they? Pepperoni. You probably know it as a spicy sausage used as a pizza topping. In Italian, this word doesn’t mean “sausages,” at all! The correct Italian meaning is ‘peppers,’ so if you ever find yourself ordering a pizza in Italy, make sure you remember this one! Casanova. Ah, what a romantic word — of course it’s Italian! This word has the same meaning in Italian as it does in English, so if you fall in love in Italy you’re in luck! Vendetta. This also has the same meaning in English. Primarily associated with the Corsica region, this word for a feud is has been used for centuries, particularly in drama. Inferno. Dan Brown fans will know this one! This also has the same meaning in Italian as it does in English, so you can impress Italian speakers with this word without even learning anything new! Zero. One thing that mathematicians tend to say is that maths is the same in every language. Well, this Italian word proves that to be true. Although there are differences with the names of numbers in Italian, this one stays the same! Curriculum. This one will be useful for English speakers studying abroad in Italy. For English speakers, this word means the subject matter of your course at school or university. In Italian, curriculum refers to the CV (curriculum vitae) or resume. Confetti. English speakers will understand this as the colorful paper you throw at weddings and celebrations, but the origin of the word is completely different. In Italian, confetti means ‘sugared almonds!’ The Italian word for confetti paper is coriandoli. Camera. We bet none of you thought this word has Italian origin. We use it a LOT in the English language, but it’s true meaning in Italian is completely different! If you ask “Mi passi la camera?” (‘Can you pass me the camera?’) to an Italian friend they would not understand how could the possibly pass you la camera, because, for them, this means ‘the room’! Al fresco. Used in English to describe doing something such as eating outside — commonly heard in restaurants! If you ask someone to have dinner with you al fresco, they will probably have a different reaction if they are English or Italian. While in English, al fresco means “to eat outside,” in Italian just means to have “in the fresh (air),” or, sometimes, can also mean “in jail.” That’s why an Italian girl would rarely be happy to have dinner al fresco. Panini. Another food word to finish our list, we have panini. It only means ‘sandwiches’ in Italian. But English speakers may be surprised to learn this, as for them the word means a grilled ciabatta bread sandwich! Even though there are lots of words used in English that come from the Italian language, every language has its own unique words and phrases that quite simply cannot be translated or transferred to another language. Here are some unique Italian words and phrases! Tirare il pacco (“To throw the package”) – not showing up to a date. Bolognese. Spaghetti bolognese has become a popular dish for English speakers, thanks to Italy. Although there is a lot of debate about how a traditional ragu alla bolognese should be made, the correct pronunciation of the word is often overlooked. Like with linguine, English speakers rarely pronounce the ‘e’ on the end of the word. Correct pronunciation = ‘bolognese‘. Calzone. A variation on a traditional Italian pizza, a calzone is made from pizza dough then toppings are added and it is folded over. 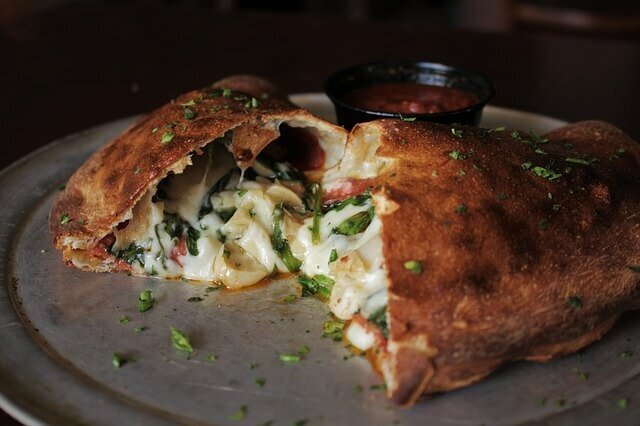 Many different pronunciations of calzone have come about, but only one of them is correct! First of all, remember not to say it like ‘calzoni,’ as this means ‘trousers’ in Italian! Secondly, in Italian the letter ‘z’ sounds like ‘ts’, which many English speakers do not realize! So the correct pronunciation of calzone = ‘cal-tson-eh’. Knowing the correct pronunciation of Italian words used in English is a great step on your language learning journey. If you can get your head around the sounds of certain letters, the stresses on words and the correct ending, you are already better equipped to start learning to speak Italian fluently! Whether you want to learn Italian, are taking an Italian holiday or are just curious by the origin of some of the words in the English language, it is important to remember that although a word may come from somewhere, it doesn’t always have the same meaning in both languages! There are many words in the English language that come from Italian, so if you want to learn Italian you already know a few things! Do you have any other fun examples of words used in English whose origin is in another language? Let us know in the comments! Remember to follow our Twitter @FlashSticks for lots of language fun! Isobel heads up the marketing team at FlashSticks. Of course she loves writing and languages, but loves art, animals and holidays too! Feeling social? Tweet to @FlashSticks to chat to Isobel and the rest of the marketing team.